A Safe Haven helps homeless people that are in sudden or chronic social and financial crisis address the root causes of their problems and we help them achieve sustainable self-sufficiency. For over 20 years they have provided individualized services. Their unique comprehensive and integrated model and specialized programs help thousands of people every year from the following populations in need: Military Veterans, Women with Children, Families, Youth (18-24 year olds), Non-violent Criminal Justice Impacted Populations including: Court Mandated Diversion, Pre-Trial and Ex-Offenders, Single Adults. AlcoholAnswers.org is a 501(c)3 non-profit organization. 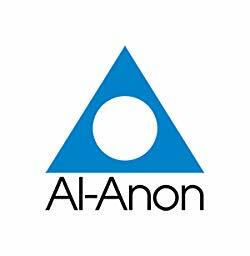 We strive to provide evidence-based material for those seeking information on Alcohol Dependence (Alcoholism) and a sense of community through our Discussion Forums. 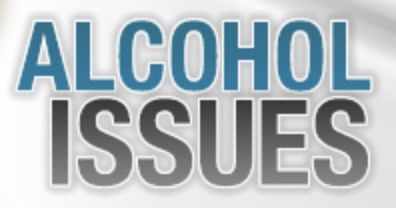 Issues relating to alcohol seem to hit the headlines almost daily. Alcohol Issues provides vital information to those wishing to know more about the short and long-term effects of alcohol. Author of the “If the Budda™…” series and more. If you’re looking for empowerment, you’ve come to the right place. The Connecticut Community for Addiction Recovery (CCAR) envisions a world where the power, hope and healing of recovery from alcohol and other drug addiction is thoroughly understood and embraced. CCAR is a centralized resource in CT for all things recovery. Whether you are contemplating a life in recovery, are new to recovery or are in long term recovery, CCAR is here to help you to navigate the recovery community, by connecting you with others in recovery and providing access to area support services. Living in recovery from alcohol and other drugs is a never ending journey, and wherever you are in that journey, CCAR is here to help you meet your recovery goals. Our philosophy begins with our belief in the value of life and business coaching for improving the lives of those facing addictions in filling the gap not met by other approaches. 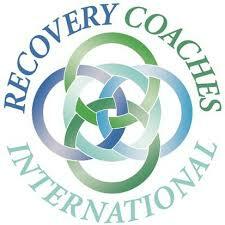 We provide training that combines best practices in coaching with best practices in recovery. Life coaches leave our program with a deep understanding of how to move clients forward in recovery, in practical terms and through an increase of self-awareness, mindfulness skills and communication skills (among others). We find that this approach supports clients in finding their own paths to ongoing recovery while creating healthy, stable, joyful and satisfying lives. The Daily Pledge is a free, online social community, made possible by the Hazelden Betty Ford Institute for Recovery Advocacy, that provides a source of support and fellowship to those touched by or concerned about the disease of addiction. The Daily Pledge provides healthy daily activities on the home page, which are viewable to all who might benefit from seeing others "recover out loud." To participate in the home page activities (i.e. add your own publicly visible comments), become a member by completing our quick, free signup. After logging in as a member, you will also get access to safe and private discussions, online meetings, live chat and more. Friends in Recovery truly feels that alcoholism and substance use disorder are family diseases, and that together, it is possible for the families to get well. Our goal is to offer clean and sober fun to the recovering family. We encourage family and friends to participate and support one another in our journey to a better life with serenity. We are a group of individuals and families that have discovered that having fun is essential to maintaining quality sobriety. To that end, we have a lot of fun by involving our families and friends in enjoyable activities during all seasons of the year. Our activities include: Snow Tubing, Banquets, Golf, Boat Cruises, Sporting Events with Sober Tailgate Parties, Bowling, Picnics with Bonfires and Hayrides, and a hospitality suite at Gopher State Roundup. Recovery is meant to be enjoyed and celebrated, not endured! The trusted resource for mental health information. Providing evidence-based education on mental health, substance use, and suicide prevention for all. Psych Hub is an online platform providing free, engaging videos about mental health, substance use, and suicide prevention. Psych Hub aims to be the trusted resource for consumers, family members, healthcare professionals and anyone else seeking best in class content on evidence-based behavioral health and substance use disorders. Founded by Patrick J. Kennedy and Marjorie Morrison in 2018, both co-founders have dedicated their careers to being passionate advocates for mental health and substance use. We are reimagining behavioral health and substance use education through intentional and thoughtful design. Our video offering is unlike other educational content you will see in behavioral health. By combining clinical research and the art of storytelling, our videos provide engaging and credible mental health, substance use, and suicide prevention information that is accessible to everyone. Our content is meant to help individuals better understand their health care journey, from identifying symptoms to setting expectations for their provider during treatment. The stories we tell are brought to life through animated videos to effectively demonstrate the many faces of mental health and substance use disorders. Mental health disorders can impact anyone. Through meaningful and innovative education, we can provide understanding and help each other lead healthier lives. This site contains the full text of more than 300 articles, 8 monographs, 30+ recovery tools, 9 book chapters, 3 books, and links to an additional 17 books written by William White and co-authors over the past four decades as well as more than 100 interviews with addiction treatment and recovery leaders. 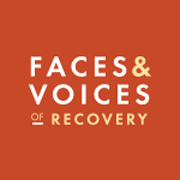 The purpose of this site is to create a single location where such material may be located by those interested in the history of addiction treatment and recovery in the United States. Those papers selected for inclusion contain all of the articles and monographs authored by William White on the new recovery advocacy movement, recovery management and recovery-oriented systems of care. It is hoped that this resource library will serve present and future generations of addiction professionals, recovery coaches and recovery advocates. SoulSalt’s founder, Lyn Christian, is a Master Certified Life and Business Coach based in Utah, with clients around the world. SoulSalt supports entrepreneurs, revolutionaries and anyone else who wants to be a Badass and needs support with their working identity and career reinvention. Our mission is to create a knowledge base that will guide individuals, families, allies, communities, and others as they work to build or rebuild thriving communities that have been sickened by addiction.